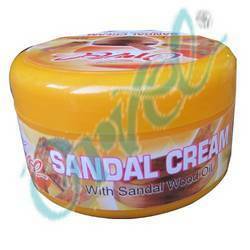 Leading Manufacturer of sandal face cream from Delhi. Our range of cosmetic skin products include specially formulated Sandal Face Cream. It has vital ingredients that help in keeping the skin lively and fresh. This cream has soothing smell and it protects the skin from tanning and control wrinkles for younger looking skin. Looking for Face Cream ?